Competence Call Center celebrated 15 years since its launch with an event in Berlin and more than 100 guests from all over the world. For the event, the company invited partners, associate members and journalists to attend the celebrations organized at Bundestag. Founded in 1998, in Vienna (Austria), CCC is European leader in call center sector, with branches in 7 countries and over 4,500 employees. During 15 years, the company opened 10 branches and got 41 international prizes. 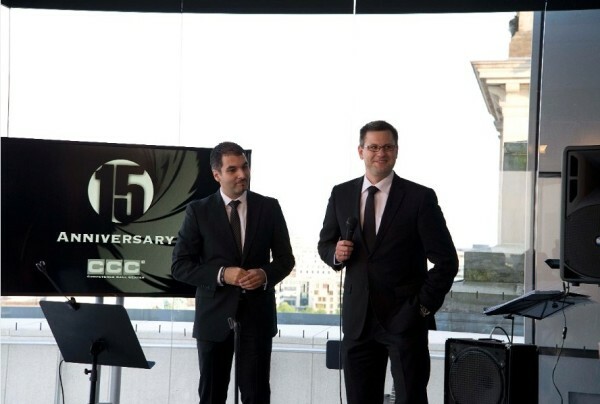 During the anniversary event (James Bond themed), CCC’s managerial team – Christian Legat, CEO, Ulf Herbrechter, COO and Veronika Weiss, CFO – were present and had speeches related to CCC and its employees. The celebration of CCC’s 15 years of performance was preceded by CCC Executive Day, that took place at Esplanade Hotel in Berlin and had as guest the Swedish artist and internet philosopher Alexander Bard.